I think a lot about what I don’t have enough of. Patience, time, stuff, money. Mostly money. He insinuated that God had something – knowledge – that he didn’t want to share with his creation. Until then, Eve had probably never even considered that she and Adam might have been cheated out of anything. Seriously, can you imagine the Garden of Eden being a place where Adam would ever say, “Whew! Thank goodness that cow strolled by or I don’t know what we’d have had for dinner!” No, they undoubtedly lived with the correct belief that God supplied all their needs, and in abundance. God was not and never has been a stingy God. He’s the God of abundance! If you don’t believe me, just ask the crowd Christ fed with only five loaves of bread and two fish in Matthew 14. Now when it was evening, the disciples came to him and said, “This is a desolate place, and the day is now over; send the crowds away to go into the villages and buy food for themselves.” But Jesus said, “They need not go away; you give them something to eat.” They said to him, “We have only five loaves here and two fish.” And he said, “Bring them here to me.” Then he ordered the crowds to sit down on the grass, and taking the five loaves and the two fish, he looked up to heaven and said a blessing. Then he broke the loaves and gave them to the disciples, and the disciples gave them to the crowds. And they all ate and were satisfied. And they took up twelve baskets full of the broken pieces left over. And those who ate were about five thousand men, besides women and children. Does that sound like a stingy God to you? No! Where everyone else saw lack, Christ saw plenty. Our God loves us and wants us to have good things, and once we put into his hands what little we have, it can multiply. I Corinthians 2:9 says, “Eye has not seen, nor ear heard, nor have entered into the heart of man the things which God has prepared for those who love Him”. And Paul drives that point home when he reminds us that God “is able to do exceedingly abundantly above all that we ask or think.” in Ephesians 3:20. Sometimes his faithfulness is hard to rely on if you were raised in scarcity, either by neglect or hardship. And it’s hard to remember when the checking balance is low, the credit card balance is high and there is no savings plan to fall back on. God is able and willing to meet your needs in full, but there is a condition. We have to wait for God and love him. It is in him that we’re to put our faith and confidence – not ourselves, our money or our circumstances. It is his faithfulness that we are called to depend upon. It is in his strength that we can trust, not our own. The important thing is to know, really know, and believe is that as our Father, God wants good things for his children. So the next time Satan whispers, “There’s not enough. 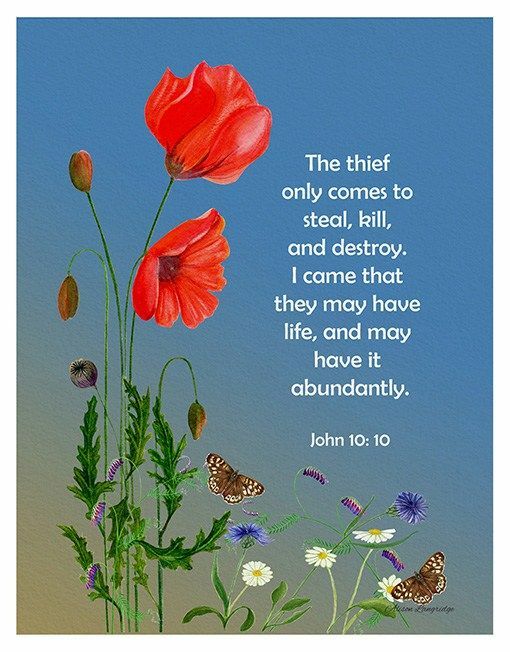 You’re on your own,” remember that he is a liar determined to steal, kill and destroy all that is good in your life. Your Father, on the other hand, wants you to have abundance and live your life to the full. Choose carefully in whom you put your confidence. I challenge you to put what you have in your Father’s hands and let him show you what he can do with it! Next HELLO, MY NAME IS….